The Phonograph, which is an invention of T.A. Edison, had become to be known in Istanbul by 1895. The simplicity of recording and of its use propelled interest and demand about the instrument. Artists such as Hafiz Sami, Hafiz Osman and others, had increased their prominence by recording their voice to phonograph. There were also recordings of several marching bands of the Ottoman Army and comedic monologues of "Karagöz" (shadow puppet theater) artists. Also Tamburi Cemil Bey, commonly known for his 78-rpm recordings, had recordings on phonograph cylinders. Turkish recording history started properly with 78-rpm discs. Because the 78-rpm discs had many more advantages over phonograph cylinders with a view to serial production, marketing , repertory and artist selection, record producers were marketing their products emphasizing their superiority. They had realized that the Ottoman Empire would be a good market and Istanbul was chosen its center much like Moscow, Cairo, Milano, Madrid, Athens, Paris, Berlin, and London. The pioneer recording teams simultaneously visited Istanbul with those cities. In 1900, the first gramophone disc recordings were done in Istanbul. These recordings were made with the help of technicians from E.Berliner's Gramophone Company and other German companies. Naturally these discs had been recorded first by the afore mentioned artists on phonographs. Because of religious restrictions, Muslim Turkish women were not able to record until 1926 -27, after the proclamation of the Turkish Republic. 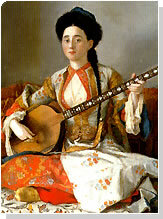 Hence, the first female singers were Jewish, Armenian, Greek and Gypsy-origin Ottoman citizens. No such obstacles existed for male singers and ensembles. Soon enough the royal band at the service of Sultan called "Mizika -i Humayun" recorded several of their famous marches. As the Ottoman Empire reigned over a large geographical area inhabited by different ethnic and religious communities, these differences were reflected in the recordings as well. Thus Turkish 78-rpm records have build a Turkish recording repertory that represents a rich heritage, with many samples of ethnic music, reflecting changing musical trends, including comical (stand-up like) monologues and dialogues, local folk music and many more. Turkish 78-rpm repertory contains song - sarki, gazel, intro-taksim, instrumentals, fasil-chapter records, operetta, tango, easy listening, parodies and monologues, Karagöz records etc. The Blumenthal family that had started to market its records in Istanbul, acted as Turkey?s representative for Disc Pour Zonophone and Odeon companies. Hundreds of considerable recordings were made in this period. E Berliner's Gramophone Co. had entered the Turkish market in 1907/08. This company represented by Sigmund Weinberg, who previously represented Pathe, also brought cinema to Turkey. In the same years, a considerable number of records had been produced by the German company called Favorite Record. Ahmet Sükrü Bey, the Turkish representative of Favorite Record, signed agreements with the most noticed artists of that period. In 1912, the Blumenthal Family had establish the first Turkish recording factory and studio called Orfeon Record. This German-patented factory made recordings for about 11-12 years, including during the WWI years. A big milestone in Turkish Recording History, like all over the world, had started by recording with electric microphones. The Blumenthal Family sold its factory to Columbia and became a representative of this company in Turkey as well, which continued until the 1970s. Another Jewish family called Grünberg, had been a representator for Odeon. Odeon had been sending the recordings to Germany and the record discs are copied there and posted back to Turkey. Armenian family Gesaryan, had got the representation of the Gramophone Co. that from now on called as His Master's Voice. Between 1927 and 28, this company had established a new-technology based factory in Istanbul. In 1931 this companies gathered under EMI and used the same factory. That was a noticable step for enchannig the recording industry. Also Turkish people's demand on records, had enchanced the records repertory and branching of them. This factory was producing for Turkish market but had an interesting working method. The recordings had been done by technicians comes from England and records are copied by Turkish foremen. Although the demand, none of the recording companies had established a complete factory in Turkey and all machinery supplied by importing. In this period, contemporary trends and local and ethnic musics had recorded. World War the Second, had saboted the recording industry. In this term, the Radio had spreaded and put forward. The representators had also sold Radios. By the 1950s, electric pick-ups had spreaded and recording industry had refreshed. 1950s had been a brilliant era for Turkish Recording Industry. New companies established such as such as Grafson and Sençalar. In Grafson, by the moderation of Mihran Gürciyan, there were several record stars such as Zeki Müren had risen in this period. In 1960s there were some negativities abour Turkish Recording Industry. The reasons were 33-rpm and 45-rpm records and recording tapes. The 45-rpm become an hype by the 1960s. The firms has also 45-rpm versions of same recordings instead of 33-rpm versions in 1965. In 1965, production of 78-rpm discs had gone over. 45-rpm records invaded the whole market. The 33-rpm LP records had produced by te 1970s. Tapes inserted in a cassette and cassette players had finished the records. 1980's had started the golden era of the"cassette". Too many little and mostly illegal (pirated) firms, were being a threat for bigger companies. Columbia Records and the His Master's Voice companies that were on second generation administration had closed. And Odeon had changed itself to substructural supplier. Nowadays, the cassette is still in production for local music albums. This sector is gathered on a center in IMÇ Bazaar near to Golden Horn in Istanbul. There are publishing cassettes, DVDs VCDs and CDs.